An addict is captured by a Dracula. Dracula's wife prevents him from killing the victim. The addict suggests a remedy which turns Dracula's life upside down. It's a sequel to the first Sperm Whale. This movie is set at Arzhang (Reza Attaran) 's wedding day. It includes lots of flashbacks to the time of of friendship of him with the bride, Roya (Mahnaz Afshar). Mr. Naser Izadi and Mrs. Izadi were invited to Brazil by an agent from tourism agency. Angela (a Brazilian woman) misunderstood Naser as her ex-fiance and this make a challenging event for their trip. Reza is a naive and honest middle age teacher that has difficulties in communicating with women. He meets a gummies saleswoman. The film starts in the 1970s and is the story of a SAVAK's member (Reza Attaran) who involves in many different adventures and challenges. 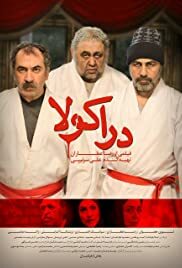 An Iranian man with high hopes of becoming a professional actor arrives in Can,France to meet Spielberg but his expectations and the reality are not so much alike. After an unexpected incident happens for a middle-aged man's dead wife's corpse, he gets very depressed, anxious and violent. It's about an Iranian man who tells his life story from childhood to now and his love. They will make it to the Guinness record book if he can stay on a turkey for some minutes, but everything doesn't go well as expected. This movie is about a strict girls high school whose faculties are all female. After the maternity leave of a chemistry teacher, the principal has to bent the rules for the presence of a male teacher in the girls high school. Reza and his friend Mansoor are pickpockets. When Reza by his mother becomes aware that a rich girl has take an oath to marry a war injured person he decides to get close to her and find a way to marry her and inherit her fortune. The film follows the story of a man in Tehran, from 7 am to 5 pm, when he must do a job because it is his last chance.